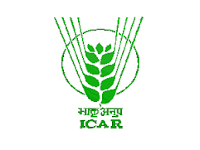 ICAR Recruitment 2018 2019 Application Form for 08 Research Assistant, JRF, SRF Posts Download Application through Official website www.ndri.res.in. ICAR RA, JRF, SRF, Traineeship, Studentships Jobs Notification 2018 Released. ICAR invites Walk in Interview for appointment in following RA, JRF, SRF, Traineeship, Studentships post in Indian Council of Agricultural Research. Candidates are requested to Download Application through Official website www.ndri.res.in. Prospective candidates will have to before Walk in Interview carefully reading the advertisement regarding the process of examinations and interview, eligibility criteria, Offline registration processes, payment of prescribed application fee/intimation charges, ICAR pattern of examination, ICAR Syllabus, ICAR Question Paper, ICAR Walk in Date, ICAR Result Date etc. JRF - Postgraduate degree in basic sciences (Microbiology/Biochemistry/Life Sciences) having qualified NET (CSIR/UGC/ICAR/ARS) or Graduate degree in professional course (Biotechnology) having NET (CSIR/ UGC/ICAR/ARS) or Postgraduate degree in professional course (Biotechnology/Dairy Microbiology). JRF - Master’s Degree in Bioinformatics /Computational Biology with 4 years/5 years of Bachelor’s degree. Candidates having post graduate degree with 3 years Bachelor’s degree and 2 years Master’s degree should have NET qualification. The candidate should have experience in computational/ structural bioinformatics or phylogenetic analysis. 30 year for Men and 35 years for Women in case of JRF on the date of Interview. 18-30 years on the date of Interview for Studentship/Traineeship. SRF - Rs. 28,000/- per month for 3rd year.